Technology is playing an increasingly greater role in the medical field, making proper training a necessity. 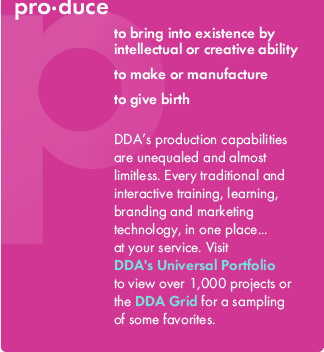 Whether it’s in conjunction with a piece of equipment or used as part of a procedure, DDA Medical’s virtual, computer-based simulations provide detailed technology training, in a way not possible through traditional text- and video-based methods. There are a variety of ways DDA Medical’s online advanced simulations can be used for technology training, whether it’s for nurses or physicians. 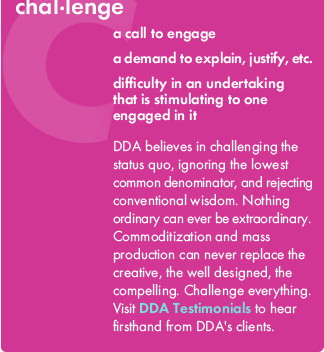 DDA Medical can create a mock scenario that the physician or nurse may be presented with in real life, like during a procedure, allowing the user to use the technology as he or she would in real life, without having to operate on an actual patient. When using traditional text-based or even video-based methods, training on technology can be limited. Users may be able operate the software but they’re not able to use it as they would in a real-life setting. 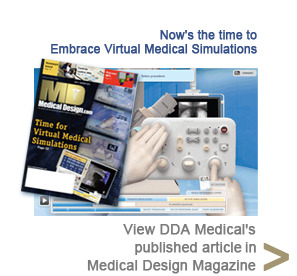 Virtual medical simulations from DDA Medical, using 2D or 3D animation and modeling, make the impossible, possible. Screen-by-screen displays that mirror what the user would see in the operating room. 2D and 3D animation and modeling to replicate what would be displayed in real-life when the software is used, like a 3D map or interior view of the body. Real-time visuals that respond to your movements. An on-screen image of the equipment or device, moving in response to your use of the software. The technology of a particular piece of equipment or device, which you wouldn’t normally see, in action, to allow the user to better understand the logic behind it how and why it operates as it does. When users better understand the technology, the overall use is improved. DDA Medical’s virtual simulations can bring nearly any experience or scenario to life. 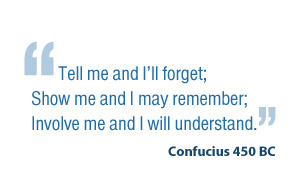 Allow users to explore what’s possible, while providing effective training. 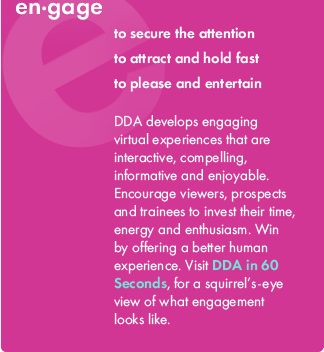 Ensure technology is being used to its fullest extent, by giving users thorough training with hands-on experiences. 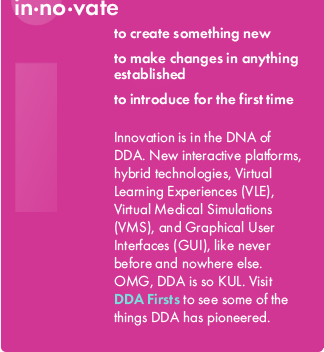 Virtual simulation solutions from DDA Medical bring technology to life.